Nothing says Christmas like traditional red C7 bulbs! 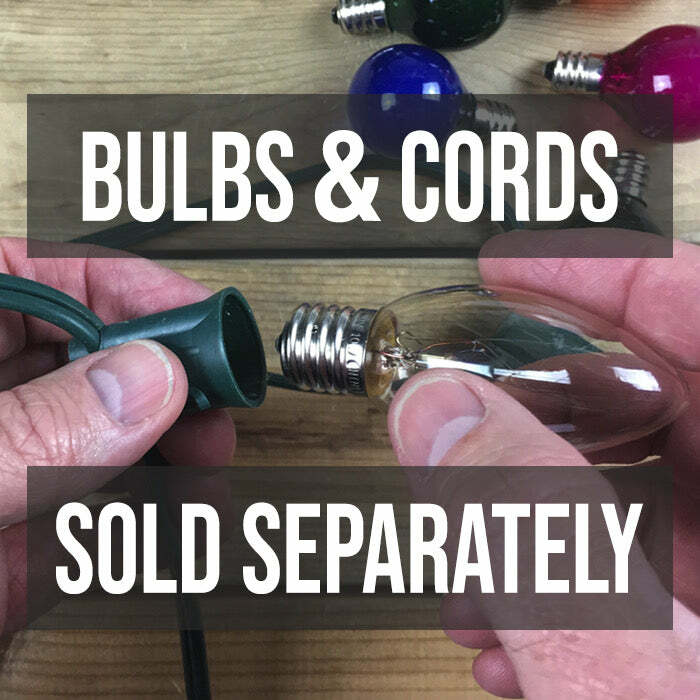 Using these Christmas lights to decorate for the holiday just takes you back to simpler times, when you were hoping for a doll or train set under the tree. These red Christmas lights, which come in boxes of 25 bulbs, will make a statement wherever you use them in your decorating. Natural and artificial trees, stairwell greenery and mantles will all be lighted beautifully when draped with these vintage-style lights. Don't forget to highlight doors and windows and add a beautiful wreath for a total package that says "Merry Christmas to All"